The “You Asked” library is a new feature on our website. We will continue to add answers to important questions on dyslexia. 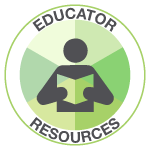 Sign up for our blog to get access to future “You Asked” resources as they are posted! *If you are viewing from a phone or tablet swipe left or right over the image above to see the various categories.